Soil is the nucleus of the agricultural ecosystem. It is a valuable resource requiring proper management. 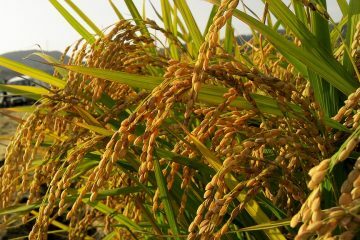 It plays a significant role in the overall crop production. Moreover, living organisms depend on it for life and growth. There are many ways of conserving the soil to maintain its productivity, and one of the most efficient measures is by adding organic matter. Aside from providing nutrients that crops require for their growth and development, organic matter also improves soil productivity through improved soil aeration, soil tilth (its suitability for growing crops), enhanced beneficial microbial population, and efficient soil moisture conservation. These benefits from organic matter can be realized through proper organic fertilization and management. The key to a successful organic crop production is efficient production and application of organic fertilizer. 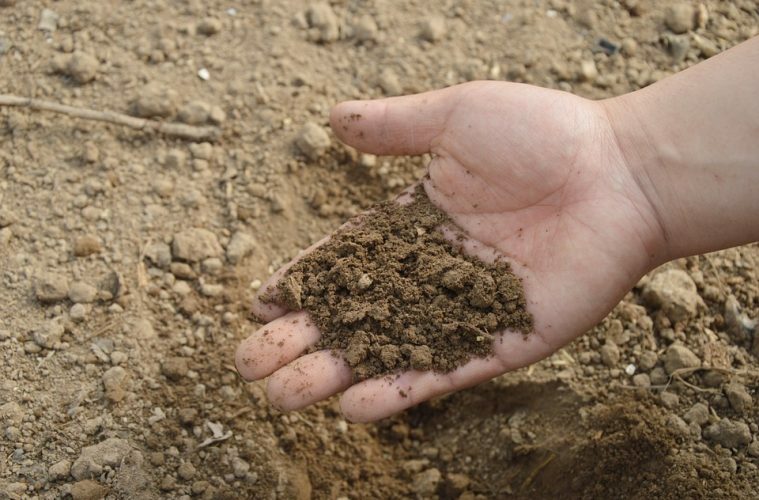 Soil is a valuable agricultural resource that requires proper management. Organic fertilizers rejuvenate and improve soil properties for better crop production. 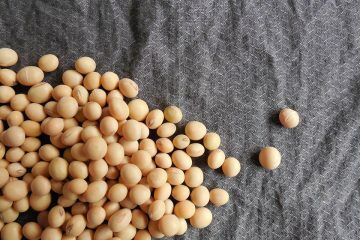 They contain beneficial microorganisms and humus which, when applied, will improve the soil’s physical, chemical, and biological properties. Producing organic fertilizers at the farm will ensure the addition of humus to the soil for more efficient crop production. Thus, farmers need to know about the proper production of organic fertilizers. 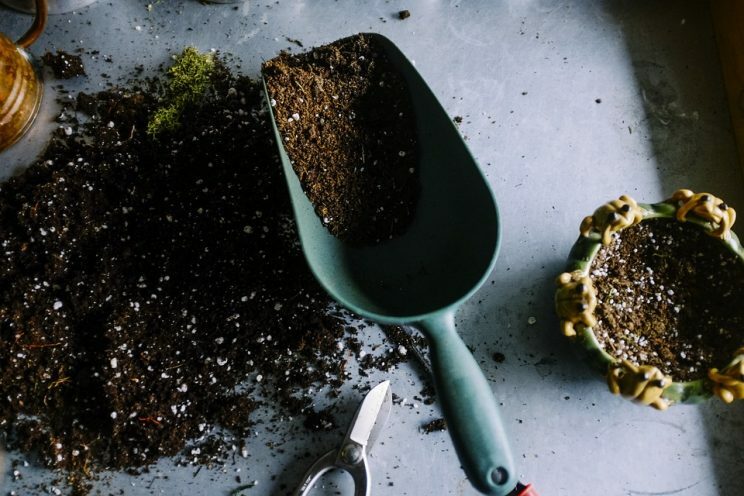 Organic Fertilizer is any product—in solid or liquid form—of plant (except byproducts from petroleum industries) or animal origin that has undergone substantial decomposition. It can supply available nutrients to plants with a total nitrogen (N), phosphorus (P), and potassium (K) of 5-7%. This may be enriched by microbial inoculants and naturally occurring minerals but no chemical or inorganic fertilizer material has been added to the finished product to affect the nutrient content, according to the Philippine National Standards (PNS) for Organic Fertilizer, 2013. Compost/Soil Conditioner is any product, in solid or liquid form, of plant (except byproducts from petroleum industries) or animal origin that has undergone substantial decomposition that can supply available nutrients to plants with a total N, P, and K of 2.5% to less than 5%. This may be enriched by microbial inoculants and naturally occurring minerals, but no chemical or inorganic fertilizer material has been added to the finished product to affect the nutrient content. 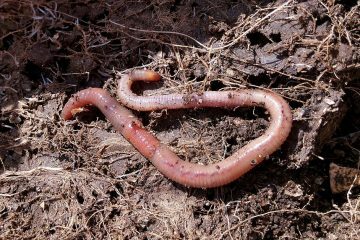 Compost and soil conditioner are used interchangeably in the PNS. Biofertilizers are fertilizer material that contain beneficial microorganisms and humus. They improve the soil’s physical, chemical, and biological properties which are essential to crop production. 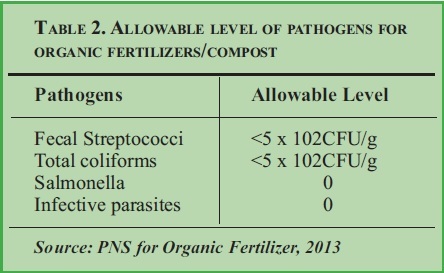 Tables 1-3 show the specifications and allowable levels of pathogens and heavy metals for organic fertilizers and compost. What are the elements of composting? Microorganisms play a very important role in composting. Rapid composting entails creating the best environment to support microbial activity. 1. Moisture – Microorganisms require a particular moisture level to thrive. The ideal moisture level for microorganisms is between 40 and 60%. At this moisture level, compost materials feel wet but no water can be squeezed out. Keep the compost pile moist but not soggy. If the raw materials are too wet, the pile becomes compact and airflow through the pile is restricted. Wet raw materials make the pile anaerobic; thus, the decomposition process slows and foul odor is generated. If too much water has been added, turn over the pile frequently to dry it. Fibrous materials such as sawdust can also be added. 2. Aeration – Microorganisms need oxygen during the decomposition to break down organic materials more efficiently. Therefore, it is important that the compost pile is properly aerated. The proper layering of materials by alternating animal manure with a layer of plant materials improves the flow of oxygen in the pile. Turning the pile regularly also improves aeration because oxygen is directly incorporated into the pile. 3. Temperature – The temperature of the pile should be maintained between 40O and 60O C for 3 weeks. The heat in the pile is generated by microorganisms digesting the materials during the decomposition process. Adjust the carbon/nitrogen (C:N) ratio, moisture, and oxygen until the bacteria have the ideal living conditions to maintain the heat needed. When temperatures become higher than 60O C, turn over the pile to release excess heat so that beneficial microorganisms will not die. 4. Particle size of compost materials – Reduce the size of raw materials to 1-2 inches to speed up the decomposition process. This ensures that a greater surface area is available for microbial activities. What are the benefits of using organic fertilizer? Organic fertilizer offers many benefits to the environment. 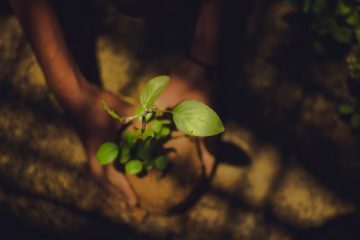 It improves soil tilth and structure; increases soil’s ability to hold water and nutrients; supports living soil organisms; helps dissolve mineral forms of nutrients; buffers soil from chemical imbalances; provides biological control of certain soil pests; and helps return organic materials to the soil. 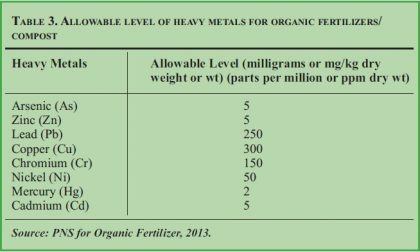 What are the facilities and equipment requirements in producing organic fertilizer? What is the best location for an organic fertilizer production facility? Build the composting shed and set up the composting pile in places that are not flooded and far from potable water sources. This is to prevent water contamination caused by leachate produced during the decomposition of organic materials. What are the raw materials needed in the production of organic fertilizer? The basic rule in composting is that anything that was once a plant can be composted (Sheremeta and Leege, 2001). • “Greens” as nitrogen sources – These are good sources of nitrogen with a low C:N ratio; generally have high moisture content; and decompose quickly. A C:N ratio of less than 30:1 considered low. Examples of greens are green leaves and fresh plant residues. • “Browns” as carbon sources – These are materials high in carbon in relation to nitrogen and generally have a high C:N ratio; are dry, and brownish; and decompose slowly. A C:N ratio of more than 30:1 is considered high. Examples of browns include rice straw, chipped branches, manure, and sawdust. • In composting, a C:N ratio between 20 and 30 is ideal. Green, fresh materials have a higher nitrogen content than dry materials. Fresh grasses have a C:N ratio of 19:1. Leaves have a C:N ratio ranging from 35:1 to 85:1; peat moss – 58:1; corn stalks – 6-:1; straw – 80-:1; farm manure – 90:1; and sawdust – 130:1 – 490:1. • Experiment with materials that are available in the locality, with constant adjustments as necessary in order to attain ideal decomposition conditions and a good proportion of plant nutrients. If the temperature of the compost pile is below the target range of between 40O C to 60O C and the mix is loose and friable (easily crumbled), add plant materials with high nitrogen content and sprinkle water on the pile in order to increase the temperature. Mixes that are too dry are as unacceptable as mixes that are too wet. a. Dried chicken manure. It is preferred as a component in organic fertilizer production over fresh chicken manure because fresh chicken manure contains contaminants and harmful microorganisms, and emits a foul odor. b. Sawdust or coco sawdust. This is a waste material generated by the lumber industry. However, only sawdust from lumber that is not chemically treated is recommended. Sawdust is an excellent source of recalcitrant carbon in organic fertilizer and is readily available. Recalcitrant carbon has been found to be stable in soil; thus, it aids in maintaining good soil structure. c. Wild sunflower. It is known to be rich in nitrogen. Adding it to the pile increases the nitrogen content of organic fertilizer. It is found everywhere in the area and is available almost all year-round. It is useful because it also adds to the organic matter content of the organic fertilizer. d. Trichoderma. This is a fungus found to be an efficient decomposer because it enhances the composting process. It is isolated from soil, decaying organic wood, and other forms of plant organic material [Barak and Chet (1986); Chet (1987); Harman and Bjorkman (1987); and Howell (2003)]. 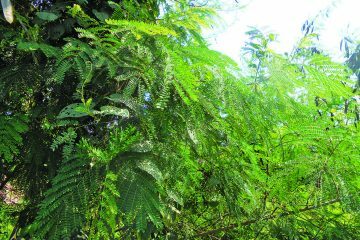 They are free-living and are highly interactive in roots, soil, and foliar environments. For many years, they have been known for producing a wide range of antibiotic substances. They parasitize other fungi (Harman et al., 2004). They have been acclaimed to be effective, eco-friendly, and cheap, nullifying the undesirable effects of agricultural chemicals (Chaudari et al., 2011), particularly organochlorines, organophosphates, and carbamates (Singh, 2010). Trichoderma has been reported to solubilize phosphates and micronutrients, thereby increasing the plant’s ability to resist drought (Singh, 2010). A 5- to 10-year research study done by Advance Biological Marketing at Cornell University on the effect of Trichoderma strains showed that the fungus altered the microflora composition on roots of corn. It also enhanced uptake of nutrients like nitrogen that resulted in better root development, increased root hair, and deeper rooting (Harman, 2006). Singh (2010) also demonstrated that Trichoderma improved germination rate, increased shoot and root length, promoted healthy growth in early stages of crop, increased dry matter production substantially, and provided long-term immunity to crops and soil (Singh, 2010). It is applied by mixing with water during piling. (a) chicken manure, (b) sawdust or coco sawdust, (c) wild sunflower, and (d) Trichoderma. 2. Shed the raw materials. Shredding is done to physically reduce the size of raw materials for faster decomposition. Materials should be shredded to 1-inch diameters or smaller to enhance the process of decomposition, specifically of tough and fibrous plant tissues. Wild sunflower stems can be shredded up to 2-3 cm to provide a greater surface area for decomposition. Also, mixing raw materials with uniform sizes is a lot easier. To enhance decomposition, pulverize chicken manure and sawdust, particularly those that have turned into lumps. 3. Pile the shredded raw materials. Do this layer by layer. Prepare a maximum of six layers of materials. Each layer is about 1 foot thick. The ratio of raw materials is 50% chicken manure, 25% sawdust or coco sawdust, and 25% wild sunflower. (Rough estimates: a layer of materials consists of two parts manure, one part sawdust or coco sawdust, and one part wild sunflower, which are spread on top of each other.) Trichoderma is usually spread as a thin layer. Stack the layers until the pile reaches 1.5 meters (m) high. Apply water to each layer until it is sufficiently moist. There is no need to put ash/lime or bamboo breathers. Monitor the temperature of the pile with a thermometer (0O-200OC, with a long probe). Maintain the temperature between 40O and 60OC for 3 weeks. (a) chicken manure, (b) sawdust or coco sawdust, (c) wild sunflower, and (d) This can be done by regularly mixing the pile. 4. Water the pile. Water each layer of raw materials after piling. Thereafter, water the pile regularly, at least 2-3 times a week. The materials must be moist. But keep it from becoming soggy or compacted. Moisture content is best between 40% and 60%. Avoid adding too much water to the pile to prevent anaerobic decomposition. Foul odors result from anaerobic activity and indicate lack of oxygen. If the pile becomes too wet, increase turning frequency and/or add fibrous materials to the pile in order to reduce the moisture content and increase oxygen. 5. Mix the compost pile. Turn the compost pile from top to bottom after 2 weeks from piling. Repeat this every week thereafter until the pile has fully decomposed. Mix the pile to help break down tough and fibrous plant materials efficiently. By doing this, moisture and organisms that help break down the raw materials are distributed evenly in the composting materials. If a fungus activator such as Trichoderma is applied, the pile takes 1-2 months to decompose. The decomposition process without a fungus activator takes 2-3 months. 6. Cover with polyethylene plastic. Cover the pile with black polyethylene plastic sheets to control the temperature and maintain the required heat. 7. Add carbonized rice hulls. Add about 2 kg carbonized rice hull to 48 kg organic fertilizer to prevent the occurrence and proliferation of harmful fungi in the organic fertilizer. 8. Air-dry the organic fertilizer. 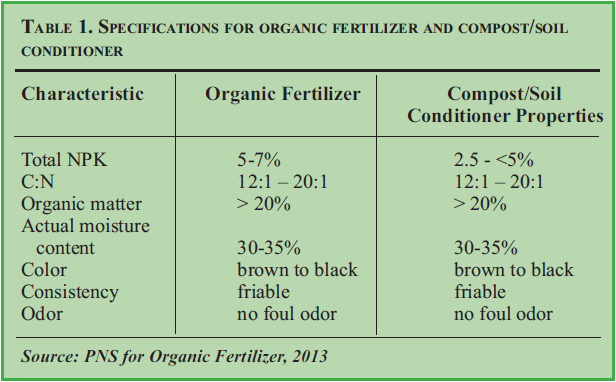 The standard moisture content of organic fertilizer for the market is 30%. Thus, air-drying is necessary to attain this desired moisture. 9. Sieve/refine the organic fertilizer. When lumps have formed during composting, pulverize them through the same shredder used in cutting raw materials. Use a 2-millimeter (mm) mesh sieve to produce uniformly sized and finer organic fertilizer. 10. Bag the organic fertilizer. Pack the sieved/refined organic fertilizer in 1 kg, 35 kg, and 50 kg plastic bags or sacks. How is organic fertilizer applied to vegetable crops? Basally apply a uniform amount of organic fertilizer either in furrows or in hills before planting. Thoroughly mix the fertilizer with the soil. After 10 days, apply another amount of organic fertilizer per furrow/hill near or around the base of the crop, then cover with soil. As organic fertilizer is a slow-release fertilizer, a second application at this stage is necessary to continuously provide the essential nutrients needed by the crop. Thirty days after planting, apply organic fertilizer during hillingup. Spread equal amounts of the remaining organic fertilizer requirements near or around the plants then cover with soil. What are the nutrients that organic fertilizer can provide to plants? Organic fertilizer provides complete nutrients to plants. It contains the entire macro- and micro-nutrients essential to plant growth and development. It also contains high amounts of organic matter necessary for improving the soil structure and provides the carbon for soil microorganisms. 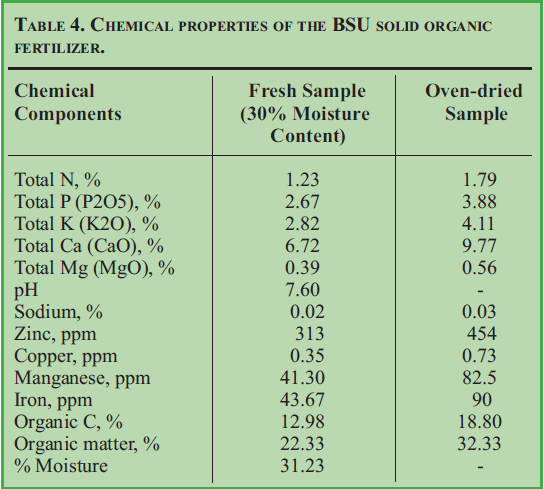 Table 4 shows the chemical properties of the BSU organic fertilizer. How much time is needed for the production of organic fertilizer? One cycle of organic fertilizer production takes 30-45 days. In one year, eight production cycles are possible. At the end of the eighth cycle, a net income of P37,600–P57,600 can be realized. 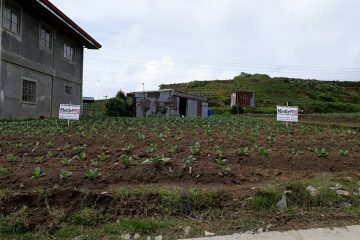 In other areas, good quality organic fertilizer can be sold from P300 to P400/bag.